Talented, vibrant, and oh, so full of life – it’s sometimes hard to believe that the exceptional JoJo Siwa is only 13-years-old as this fabulous, young lady has and continues to accomplish an incredible amount of things in the entertainment industry. JoJo Siwa truly defines what it is like to be a multi-threat and entertaining people and leaving everyone in awe with her talent is something that JoJo was born to do. At the ripe age of two, JoJo already knew that she had a passion for dancing, and since then, she has become a fan-favorite in highly acclaimed dance shows including Abby’s Ultimate Dance Competition and Dance Moms. In addition to her exceptional dancing talent, JoJo Siwa is also a phenomenal singer. She just recently brought out her terrific song, “Boomerang,” which not only showcases JoJo Siwa’s excellent talent as a singer, but it also has a terrific message as it helps put an end to bullying. “Boomerang” is a song that we all are listening to over and over again and we could totally see why it went viral instantaneously. In addition to all of her amazing successes, JoJo Siwa also has a line of accessories with Claire’s and she has just partnered with the extraordinary Nickelodeon for a line of consumer products. (So exciting!!) The line will reflect JoJo Siwa’s exuberant and vivacious personality that we all love and all of the items will definitely be at the top of our wish lists. JoJo has done a lot of work already with Nickelodeon including being featured in Nickelodeon’s Ultimate Halloween Haunted House special as well as TeenNick Top 10, and she had her television performance debut of “Boomerang” at the 2016 Nickelodeon HALO Awards. A lot of big things are coming for this remarkable, singing, dancing, and social media sensation and we can’t wait to see all of the other brilliant projects JoJo Siwa will continue to bring out for her fans to enjoy. 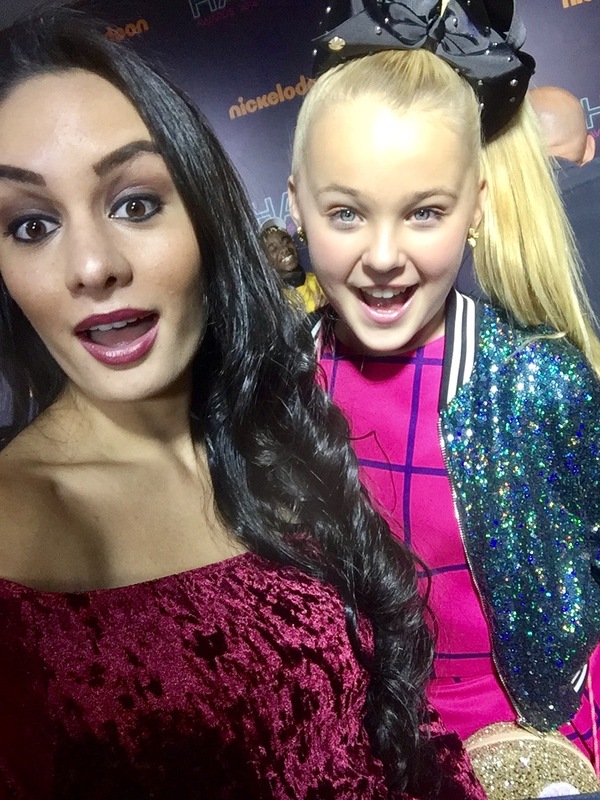 I, Alexisjoyvipaccess had the greatest honor of covering and attending the renowned, prestigious, and inspiring 2016 Nickelodeon HALO Awards for the third year in a row and had an amazing time interviewing the wonderful JoJo Siwa at the event. JoJo Siwa dished exclusively to Alexisjoyvipaccess all about her outstanding song, “Boomerang,” what it is like for her working with Nickelodeon on her line of consumer products, and so much more only in our VIPAccessEXCLUSIVE interview. JoJo Siwa even sent out some excellent advice to all of her fans on how they can HALO (Help And Lead Others). Hear what JoJo Siwa had to say in our VIPAccessEXCLUSIVE interview below. Thanks for the fun interview, JoJo! Check out my VIPAccessEXCLUSIVE interview with the magnificent JoJo Siwa at the 2016 Nickelodeon HALO Awards below! The Nickelodeon HALO Awards is the only award show of its kind that celebrates kids who are doing above and beyond to change the world we live in for the better and encourage everyone that you too can do the same. The 2016 Nickelodeon HALO Awards airs on Sunday, November 27th at 7:00 PM ET / PT on Nickelodeon. Follow @NickelodeonTV on Twitter and join in on the conversation by using #HALOAwards! Previous VIPAccessEXCLUSIVE: AJ Interview With Alexisjoyvipaccess At The 2016 Nickelodeon HALO Awards! Next VIPAccessEXCLUSIVE: Loren Gray Interview With Alexisjoyvipaccess At The 2016 Nickelodeon HALO Awards!